Peter Bertram's new book on Confederate Numismatica is downright unbelievable! The depth and breadth of this work is amazing. I had no idea that some of the items even existed! He listed items you could easily pass over at a flea market thinking they were junk. The work is broken into three segments based on time. First is the era of Pre-War to 1861 with many tokens, political campaign tokens and ribbons, and secession items. I had never seen many of these items in the eight to ten years spent researching the Confederate cent, nor did I know they existed. Peter included some history with most of the items listed. And, the book is in color!! The second era is Wartime 1861-1865. During this period of time coins of all metals were hoarded, both North and South. This resulted in counterstamped coins and a lot of paper being printed and used for money. He has included the several tokens that George Corell has described as “Confederate Orphan Coins.” Some of these were produced in the South and some in Paris, France. Of course, he dives into the tokens and coins produced by Robert Lovett, Jr. He covers the Confederate cent and the later restrikes by Capt. John W. Haseltine and the infamous Robert S. Bashlow. 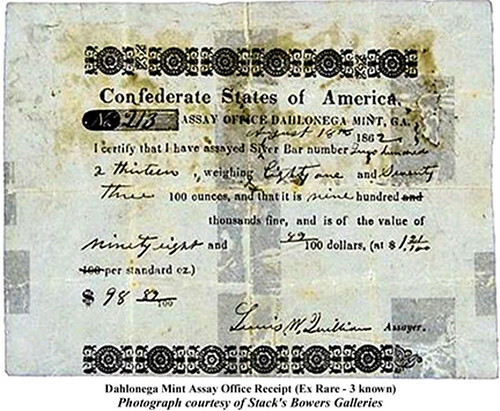 Bashlow produced a plethora of Confederate cent restrike items which Peter covers nicely. The Confederacy inherited the tools, dies, and bullion when they took control of the three mints within their territory. When these actions occurred, the mint personnel continued to strike coins for a time. In all cases the dies used were U.S. dies in varying states of wear. Peter dedicated several pages and many images to describing how to detect the coins struck under Confederate control. The Confederate half-dollar is part of this discussion. The next section of the Wartime 1861-1865 era is the paper produced by and for the Confederacy. There are many pages and images dedicated to this subject. Confederate paper is a study unto itself and has been done by several people over time, not the least of which was Capt. John W. Haseltine. Again, historical information is included. 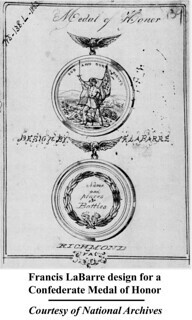 The final section covers badges, medals, and ribbons. There are several one-of- a-kind handmade items in this section. You will see the treasury seal made by George H. Lovett, Robert, Jr.’s brother. You can learn of the Great Seal of the Confederacy and the various copies. Also, the Stonewall Jackson medal produced in Paris, France is described with some history of the piece. It ends with a description of Jefferson Davis’ flight to evade capture by the Union Army. There are a number one-off medals and badges presented. The final era is that of Post War 1865-1889. There were many one-off badges and ribbons and those manufactured for specific occasions and groups. Many of the occasions were reunions of the various brigades. You need to see this section as you could easily pass over these pieces in a flea market. The book ends with descriptions of counterfeits. As Peter says, it is a shame this information has to be included, but as with most collectibles, the unscrupulous try to cash-in. This is a great guide book necessary for collectors of Confederate memorabilia. The book offers the first listing of Breckinridge/Lane 1860 Presidential Campaign medalets since Sullivan’s now classic 1981 reference. Some 15 previously unlisted items are noted, including all four varieties of the striking ribbons based on the remarkable steel-plate engravings of John C. Buttre. Interestingly, many collectors are not aware that two varieties of the “A United South” token are now known and the book lists and illustrates both. With an appreciative nod to the work of Randall Wiley and Bill Bugert, the book includes a table and seven detailed panels to assist collectors in determining which 1861-O half dollars were struck under Confederate authority. A detailed history of the Confederate Great Seal is included, along with detailed illustrations of eight collectable reproductions of the Seal. All ten of the Davis Flight Medals and their story is told here for their first time in print. The book defines nine Ladder Badge Types and three miscellaneous pieces with detailed text and illustrations. If there were pickup lines for books, I'd use this one: "Where've you been all my life?" Confederate Numismatica fills a void in the canon of American numismatic literature. While a lot of information on the topic has been published over the years, it was scattered, uneven, incomplete and often downright incorrect. Despite being a longtime numismatic bibliophile, I only learned about some of these items myself in the course of editing The E-Sylum over the last two decades. As one example of Peter Bertram's thorough work in writing his new book Confederate Numismatica, see a later article in this issue which republishes a section on the J.B. Schiller counterstamp discussed in an earlier E-Sylum article, where it was incorrectly described as a "siege token". Notes about shortcomings are mandatory in any review, and now that I've gotten past my original excitement, I'll address a couple minor things I noticed. First was the page and print size. To my aging eyes the print was small and the pictures were small, too, with most well under actual size. I'd be happy to buy a larger, more expensive deluxe version with actual-size photos (or larger)! Another minor shortcoming is that even though the book does include a price guide, it's hard to find, being buried at the very end. Prices are the first thing many book buyers look for, so I would advertise the guide right on the cover, and remind readers throughout where to find it. Perhaps update the subtitle to ".. With Historical Notes and Price Guide", and footer notes: "See page 193 for pricing guide." It's hard enough to compile all of this great information, and even more work sometimes to compile prices; since many of these items are extremely rare, price records are hard to find if they exist at all. Peter confirmed that compiling those three pages took almost as much time and cross-eyed effort as some of the major portions of the book. Collectors and dealers alike will find these estimates quite useful. 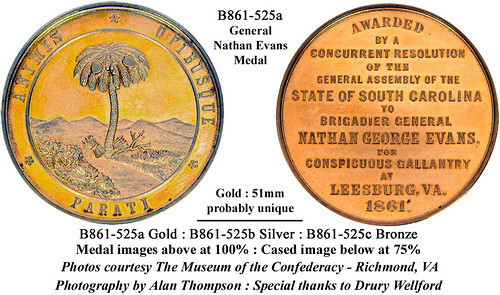 Confederate Numismatica is a landmark work, and Peter deserves many kudos for his efforts. 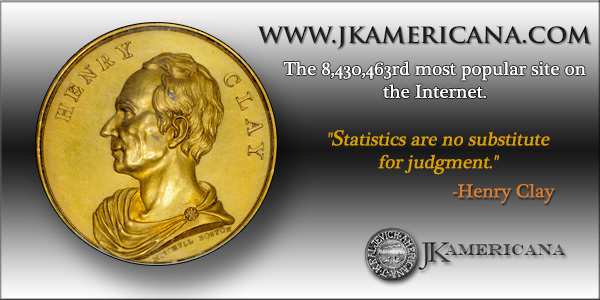 This is something the numismatic world has lacked for far too long. See last week's article, linked below, for ordering information. We'll all stay tuned for Part 2 of Peter's planned four-volume series. And of course, please do notify Peter of any missing items you're aware of for inclusion in his planned annual Confederate Numismatica Supplement. 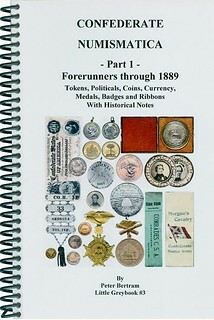 This book represents Part 1 of an attempt to start filling at least a little of the void in the literature of published information for collectors of Confederate tokens, badges, ribbons, etc. I believe that preserving the collectibles and memorabilia of Confederate veterans will be aided by the ready availability of information about them. That pretty much sums up my purpose here. Perhaps you could join me and participate in the effort? Cataloging these treasures of Southern Heritage has been slow in coming. As the father of the effort, Mr. Lynn J. Shaw published the first reference in his 1989 little red book “Badges and Ribbons of the United Confederate Veterans and Sons of Confederate Veterans”. Updated in 1996, it only showed about 130 badges but for years was the only source of information and is now considered a classic and getting tough to find! I then dabbled at it with a Newsletter from 1996 to 1999 and a few articles. So when my little Southern Cross of Honor book was very well received, I decided to return to this project. All this fast forwards us up to today and this little book you are holding. It is Part 1 of a planned three or four volume series cataloging Confederate numismatica. Part 2 will start in 1890 with the first UCV badges and will be “the UCV book”.